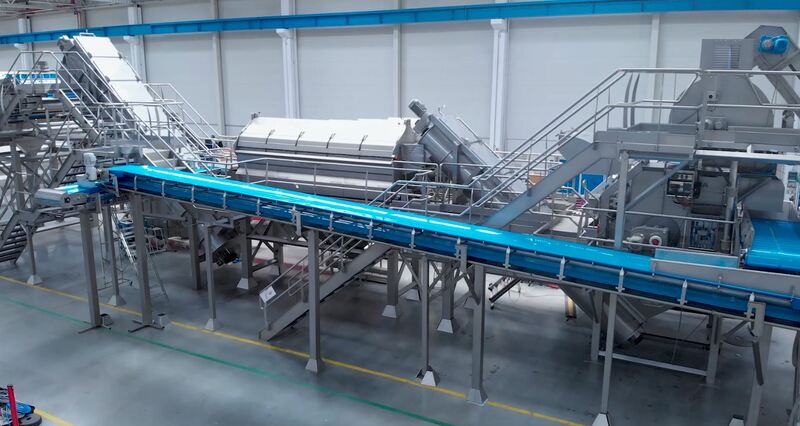 As TOMRA ships its 200th steam peeler from our state of the art processing facility in Slovakia, we take a look at the impact steam peeling has on profitability and waste reduction in the potato processing industry. TOMRA is the world leader in helping major food growers, processors and packers boost productivity and reduce waste with sophisticated sorting sensors, new technologies and flexible service packages. TOMRA is calling for a photo of what makes your food business stand out, in support of the Food and Agriculture Organisation’s #ZeroHunger initiative for World Food Day 2018. I'm passionate and curious by nature. My curiosity led me to become a journalist and from there a senior marketing communication coordinator. I currently work for TOMRA Sorting Food and lucky me, I have the opportunity to work for an inspiring company that reflects what I believe matters: innovation, passion and responsibility. Every year, the International Nut and Dried Fruit Council (INC) hosts their World Nut and Dried Fruit Congress. This event provides a platform for seeking opportunities in the nut and dried fruit industry from networking to updates on industry statistics and forecasts. XXXVII Congress, welcomed more than 1,500 participants to the sunny Seville, Spain. In February this year, TOMRA welcomed BBC Technologies to the Food family. With an ever-increasing consumer focus on super-foods such as blueberries, the addition of BBC Technologies to our portfolio allows us to better serve the needs of growers and packers. 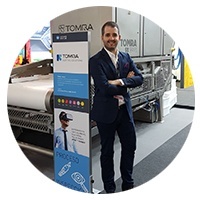 With BBC Technologies and Compac, TOMRA now offers the world’s most complete small-fruit sorting and packaging portfolio for large to small packhouses, and for the growing number of repack and fresh produce distribution centres worldwide. Below is a bit more information about the New Zealand based company, who are achieving big on the world stage. I was born in Madrid, I have 2 brothers (Belen & Pablo) and my parents are called Santiago and Maria Luz. I went to Aguistiniano College in Madrid and then to University where I studied Agricultural Engineering. I’ve been part of the ‘Scouts’ for 12 years where I have learned values and how to be a positive person. I love the sea and I have a degree of recreational boats skipper. I have a fantastic girlfriend called Leticia who is a teacher to 3 year olds. I worked at the company called GEA for 10 years before starting at TOMRA. When I have a spare moment, I love to go fishing, pilot my drone and make trips away with my friends from college or my girlfriend, to wherever possible. Most people don’t know but I was a DJ in my late teens/early twenties, playing in different clubs in Madrid and I have a musical school background as well. At home I have a DJ set where I regularly spend some time.